Celebrating 50 years of same ownership so you can count on us for your project now and into the future. We've invested millions in our USA plant in just these last four years to better serve you. ​Largest in-house tool and CNC shop making 100's of tools per year. 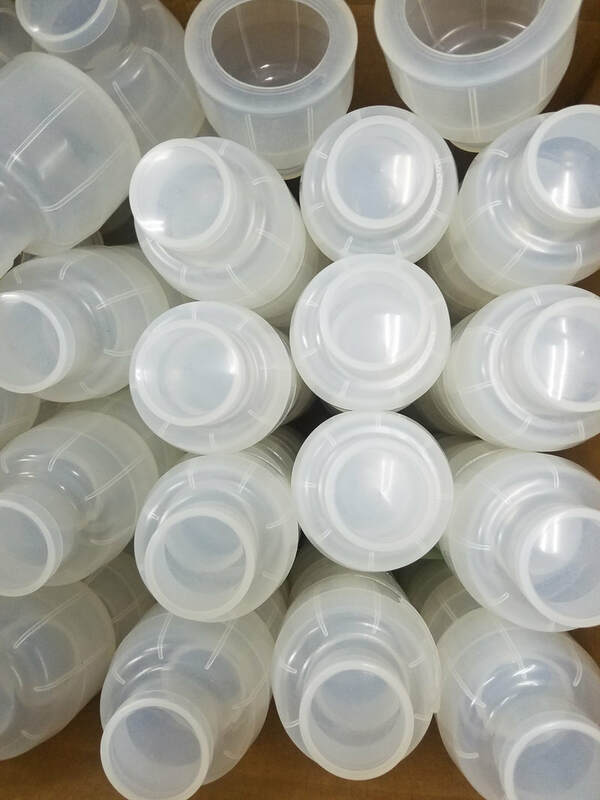 Custom Molded Rubber, Silicone, and Liquid Silicone Rubber (LSR) parts manufactured in our USA plant or from Asia with our partners. We make 100's of tools per year here in our USA plant, and also source 100's of new projects in Asia. Your one source of supply for Rubber, Silicone, and LSR custom molding and tooling from both USA and Asia. USA based ITAR & ISO 9001:2015 registered, same ownership for 50 years, and now in our 3rd generation of family! Consistency in ownership leads to consistency in quality, service, and competitive pricing. Our Minneapolis campus is based on our 5 acre site where we make the tooling and manufacture tens of millions of parts annually. We operate 24x7x365. We NEVER shut down and you get more value and capacity from your tooling. This is how we make tooling and parts faster than anyone in our industry. We are the FASTEST in the industry from CAD to parts. Prototype tooling in as short as ONE day (steel not aluminum, actual tooling) with real, actual material that meets your specifications and you can use for your parts. Typical prototype tooling in 5 to 15 days (we use 4130 steel for REAL tools that last). Don't waste your money, and time, on aluminum tooling. Get real tools for your best value. Production tooling (4130 steel tooling cut in CNCs on-site) good for tens of thousands of cycles. Complete production tooling in as quick as a week, typically 2 to 5 weeks, depending on complexity​. We have scale to make your tooling on-site. In mid-September through October, we just completed 20+ production tools and 10+ prototype tools. On site. In 6 weeks... ! Our largest CNC cuts 26" x 40" production tooling. Medical is our largest segment. We are your trusted partner with the most critical tolerances and repeatable manufacturing processes. You receive the benefit of our investing millions of dollars in the last four years in our USA plant and also investing overseas, while having the expertise of being a 50 year old manufacturer and tool maker. 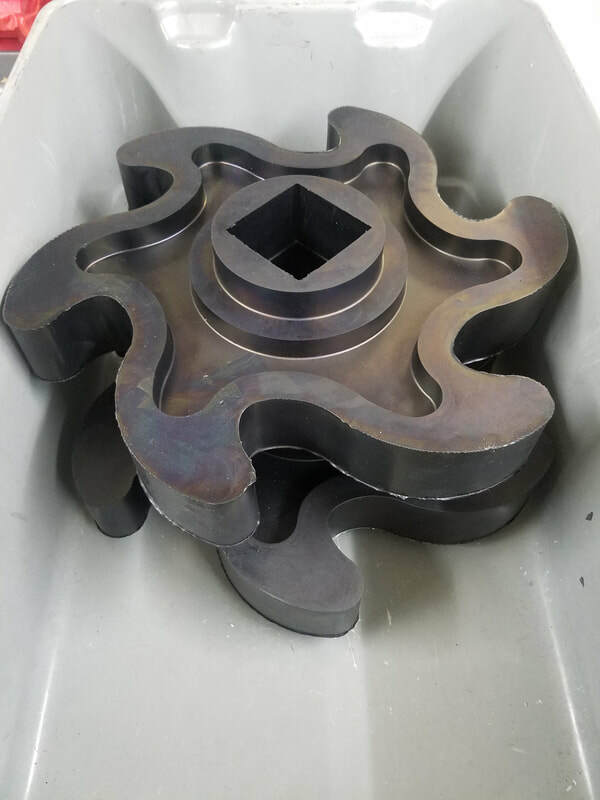 Our expertise of 50 years in Custom Molded Rubber, Custom Molded Silicone, Custom Molded Liquid Silicone Rubber (LSR), Custom Tooling made on site with tool steel (not temporary aluminum tooling). 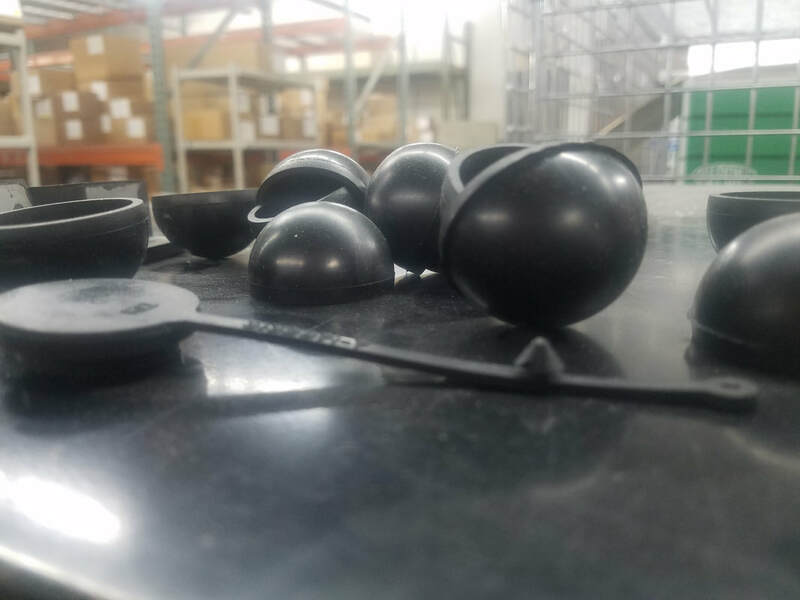 ​All of these point to your project of custom molded rubber and custom molded silicone with our years of experience leading to your project success in the most cost effective manner while being within budget, and on time. 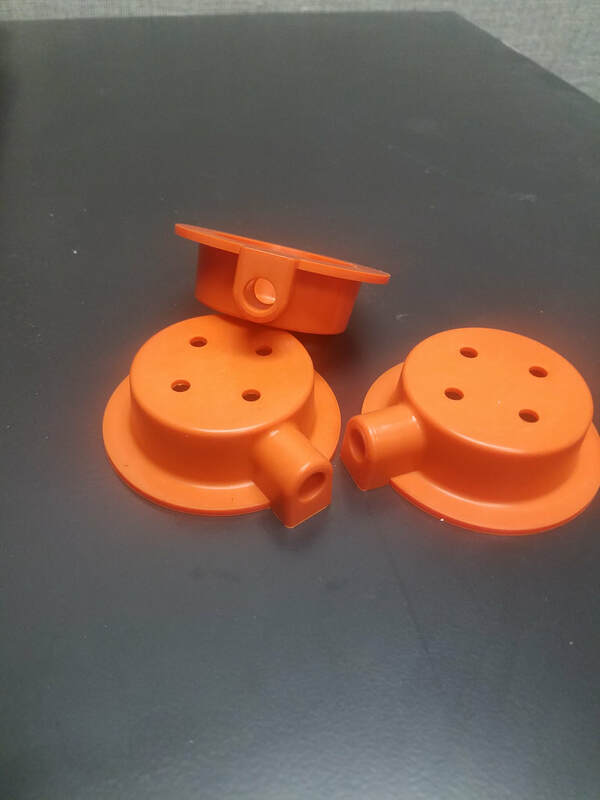 With our partners in China, we provide the fastest and most complete options for your custom molded rubber and custom molded silicone projects. 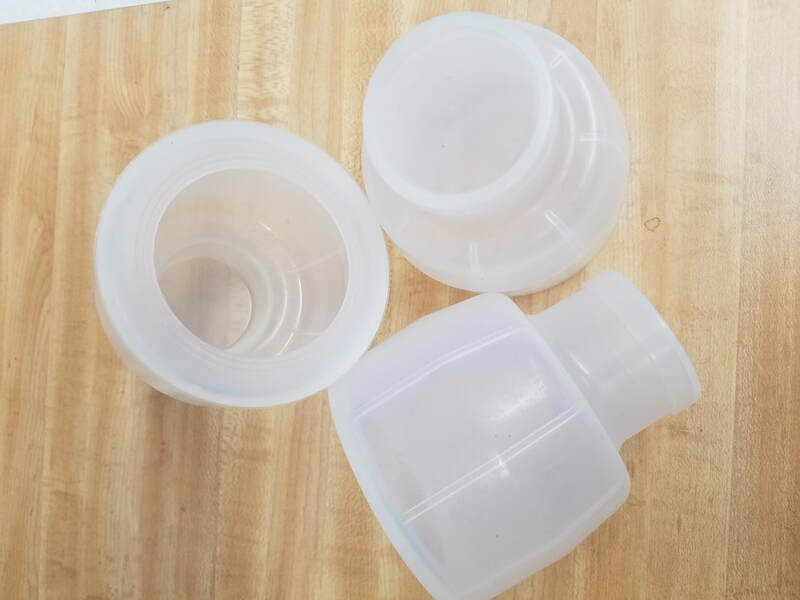 Our service include the fastest rubber prototyping and silicone prototyping with our in house tooling and mold building shop. We also have thousands of custom formulas that allow us to best match your application, from natural rubber, silicone, nitrile, HNBR, chloroprene (Neoprene TM), EPDM, SBR, Butyl, Polyurethane, fluorosilicone, and FKM (Viton TM). 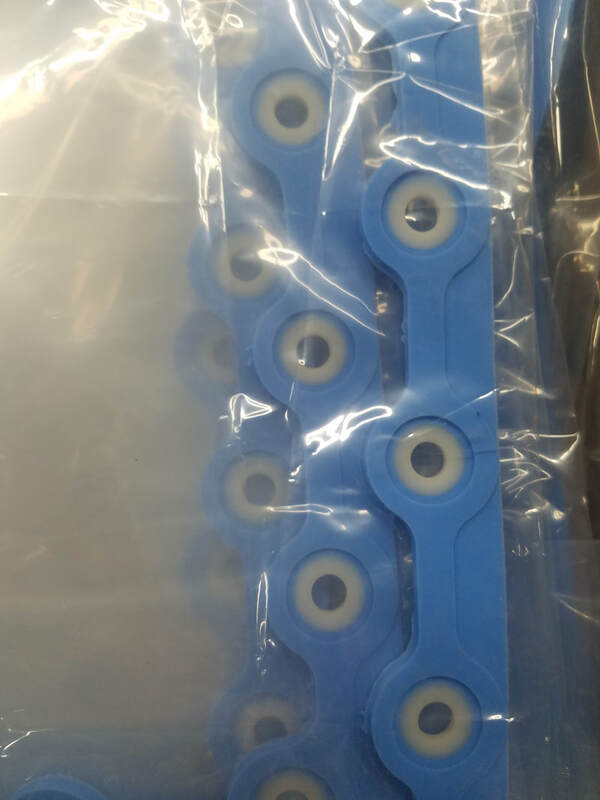 With our experience of 50 years of bonding rubber to metal and silicone to metal, including bonding to glass filled nylon, polycarbonates, and other substrates, we will work with you to bring your project from design all the way to completion with first article parts in days or a few weeks, not months. We do custom molding in many segments, including medical, automotive, transportation, consumer, industrial, and prototyping of all of these segments. Prototype to high volume production capabilities. Complete in-house custom compound formulating and mixing in our USA facility and also in Asia. Injection, transfer, and compression molding capabilities. Engineering assistance for tool design and development. At Rubber Industries, custom rubber molding and custom silicone molding is our focus and strength. We also have one of the largest in house tooling shops and we manufacture all of our tooling on site for our domestic sourced business. We make tens of millions of parts annually on our suburban Minneapolis, Minnesota campus (we own approximately 5 acres). We also have partners in China and we source millions of parts annually from overseas. 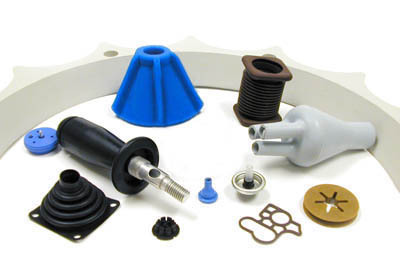 We are your complete source for all of your tooling, custom rubber molding, and custom silicone molding. Custom Molding For All Of Your Needs. Rubber Industries has provided quality service for nearly fifty years to the world's most prolific industries and brands. We pride ourselves on our speed, quality assurance, and professionalism. 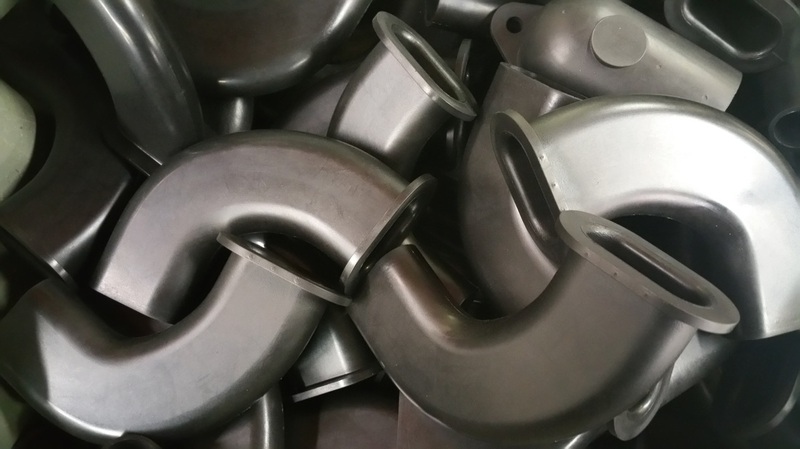 We use modern manufacturing processes coupled with our deep expertise in elastomers to provide the fastest production tooling, the fastest prototyping, and the fastest production in the industry. Custom molded items to match any project you start. This includes everything from disposal medical equipment to the most crucial components in industrial machinery. Overmolded items of the highest quality. Rubber to metal bonded items that don't malfunction under high stress. We can create items that last and function properly from over 2000 formulas and several secondary materials. 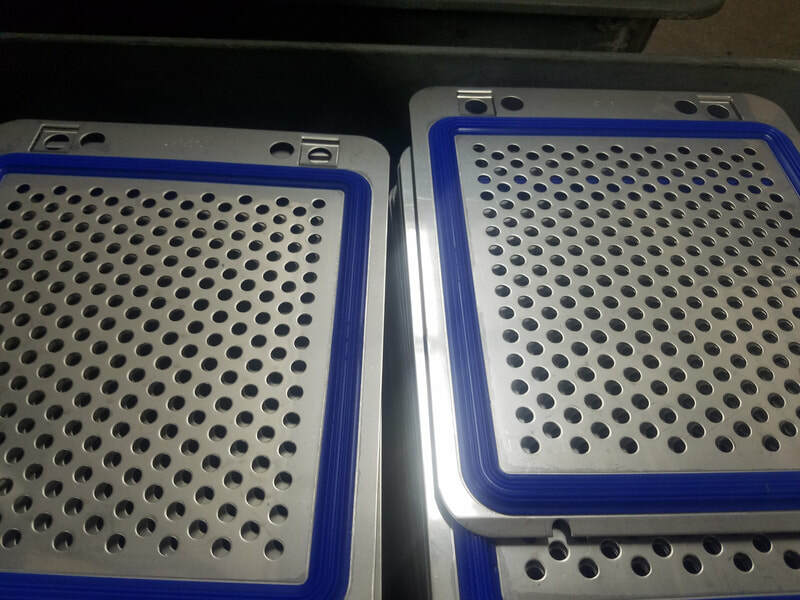 Custom injection molding by experts. High volume and low volume production are both welcomed. We even offer the highest quality custom tooling on the market. We offer the fastest production tooling using real steel; Not temporary aluminum tooling that breaks. Due to us using real steel to create your tooling, you don't have to replace our tooling during your production runs. Since you only have to pay once, steel tooling from us is less expensive than aluminum tooling from others. We can add custom colors to your ordered items. We can produce dual durometer pieces to match any of your requirements. Our Tooling Is A Step Above The Rest. We separate our tooling from the others by offering tools made from the highest quality materials. We only use 4130 tool steel to manufacture our custom tooling. Our competitors use aluminum to manufacture tooling for their customers. Aluminum bends, warps, or otherwise loses its shape after minimal use. This leads to the items being made by that tooling having inconsistent tolerances and other undesirable characteristics. That tooling has to be replaced frequently. By using steel custom tooling from us and not temporary aluminum tooling, you save money. You might be offered a lower initial price by our competitors, but steel tooling from us is less expensive than aluminum tooling from others when you factor in replacement costs. Quicker production due to stronger tools. Higher quality pieces that are much more reliable. The Fastest Prototyping In The Industry. Our services make it possible for your project to enter production as quickly as possible. This allows for a faster turn around time and the ability to sell or use your items faster. You don't waste time and money waiting on us for months. You can take your product from the brainstorming phase to profit in no time. You don't have to worry about us. We have perfected our process to bring this speedy service to you. We don't cut corners to do it. We just do it right and efficiently. That is something our competitors can claim relative to our capabilities. Multiple modern injection presses to meet your specific project needs. Compression presses for compression molding. Transfer presses for transfer molding. The largest CNC shop in the industry with hundreds of units. We accept orders for either high volume or low volume production projects and we keep our doors open 24 hours a day, 365 days a year. We never stop striving to serve our customers to the best of our abilities. This elastomer is a synthetic material and it's also known also ethylene propylene diene monomer. It can be used for a wide variety of applications and it's often blended with other elastomers. It's a great option when the intended application includes exposure to hydraulic fluids, extreme temperature liquids, and alkalis. This is the reason it's most commonly seen in the automotive industry. In particular, it's usually formed into a seal of some sort. This can be the material lining your vehicle's door frame, trunk, hood, windows, or even the internal components of your engine. It's also commonly used in hoses, tubing, and even playground padding. The latter is due to its ability to withstand the elements and also lessen the impact of falls that are prone to happening on playgrounds. The material is also a common bonding material that is used to create EPDM to metal bonded items. This type of product can have the material bonded to anything from brass to glass filled nylon. It's all dependent on the intended use of the product and how demanding it is. FKM is an ASTM designation for flouro-elastomers in general. Whereas Viton is a brand name and a registered trademark. Its unusually high heat resistance and ability to resist chemical exposure make it a flexible material and common in a multitude of industries. We can use it for a multitude of uses. This includes injection molding processes and FKM to metal bonded items. Medical examination gloves and disposable items. Gloves used in nuclear power facilities. NBR to metal bonded items in vehicles. 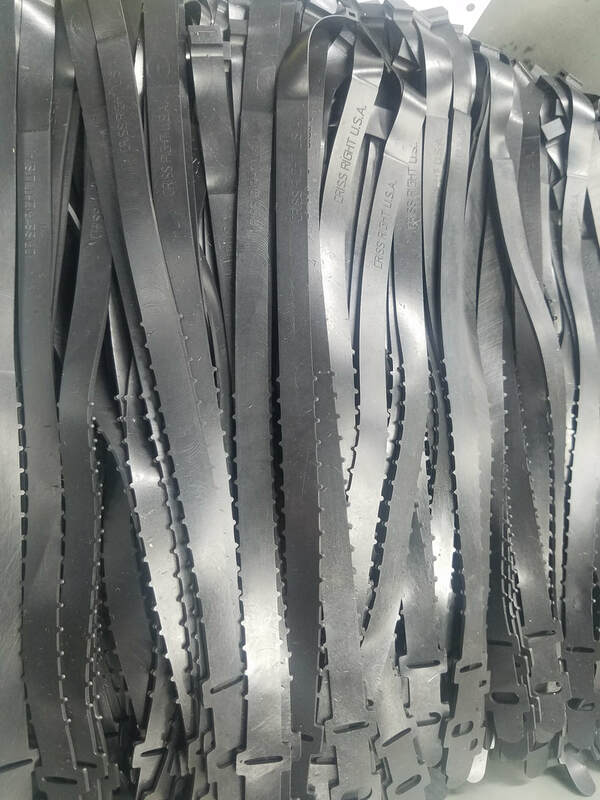 With its frequent use in the consumer, medical, automotive, industrial, and defense industries, this material is one of the most commonly found synthetic rubbers in the world. We can use it in all of our production methods. This includes overmolding and metal bonding processes. Nitrile NBR to metal bonded items can be made from a number of secondary components. Infact, we can make NBR to metal bonded items with brass, aluminum, steel, or glass filled nylon. This synthetic material is most notable for being impermeable to air. This key characteristic is a major reason it's used for applications that require an airtight structure. It's most common use is for the manufacturing of bicycle inner tubes. This also makes it commonly used in sealants, caulks, military equipment containers, fuel additives, and more consumer based uses such as chewing gum and hair products. Styrene Butadiene is a general term for a family of synthetic materials made from the two compounds in the name. This even includes the name brand Neolite that's used by Goodyear. Historically, it was intended to be a complete replacement for its natural counterpart. It was first created in 1929 in Germany and has since lived up to its expectations. It's the leading material used for vehicle tires and it's commonly used in household items like footwear and chewing gum. The material is common in construction applications as well. This is due to its durability, flexibility, shrink resistance, and it's resistance to emulsifying due to water exposure. HNBR isn't its own unique material. It's a subcategory of NBR and it shares many of its characteristics. However, this material is known for being stronger, more reliable under extremely high temperature conditions, more reliable in the long term, and even more resilient to chemicals and oils. Our custom injection molding is the fastest method to get large quantities of parts fast and economically. We utilize multiple modern injection presses to meet your specific project and its needs. No pre-forms are used. So, it's a faster process. We can use up to fifteen pounds of material in a single cycle with our modern equipment. We begin the process by stripping our raw material into two inch wide strips and feeding it into a self-heating screw. This screw handles all of the processing necessary to begin the next step. This all inclusive process streamlines the manufacturing process and ensures consistent quality with minimal waste. Then, the material is forced into one of our custom molds. We use the perfect amount of pressure and heat to ensure that the mold cavity is filled properly and the process can be repeated indefinitely for long production runs. Finally, the material is cured via one of several methods and the product is completed. Due to our use of perfected techniques and quality tooling, we can repeatedly create identical replicas of the same part for as long as we need. It's as simple as initiating another cycle. Our high volume injection molding is quick, efficient, and affordable for a variety of budgets. In fact, our quick high volume capability with injection molding is renowned in the manufacturing industry. We are known for finishing our projects faster and in a more affordable fashion than any of our competitors. The world's most trusted brands trust us with their high volume injection molding projects. We can create custom colors for your items. We can design and manufacture dual durometer pieces. We have a quick high volume capability with injection molding. Overmolding is one of our specialities. We are experts at bonding elastomers to metal. We create all of our own tooling. We can use over 2000 custom elastomer formulas. We offer all molding services. Our modern manufacturing processes are top of the line. That's why the largest, most reputable, most trusted brands trust us to handle the manufacturing of their elastomer based items.